Resident Evil 2 Remake's zombies go down for good: shoot them – lots. Your starting pistol is all well and good, but both Leon and Claire have access to another, more powerful, gun too. Here's how to solve the Art Room Statue puzzle with the Red Book and Leon's Magnum and Claire's MQ11 SMG. This puzzle path starts once you've first entered the Library on the west side of the building, but can't be finished until a little while after in the sequence of events. However, it's well worth doing. Claire's SMG is a very strong weapon to have. When you first enter the Library on the west side of the Police Station, you'll be on the third floor. Try to reach the door on the other side will trigger a cutscene where you fall through the wooden balcony, so once that's done, deal with the zombies and make your way back to the main hall through the locked spade door. 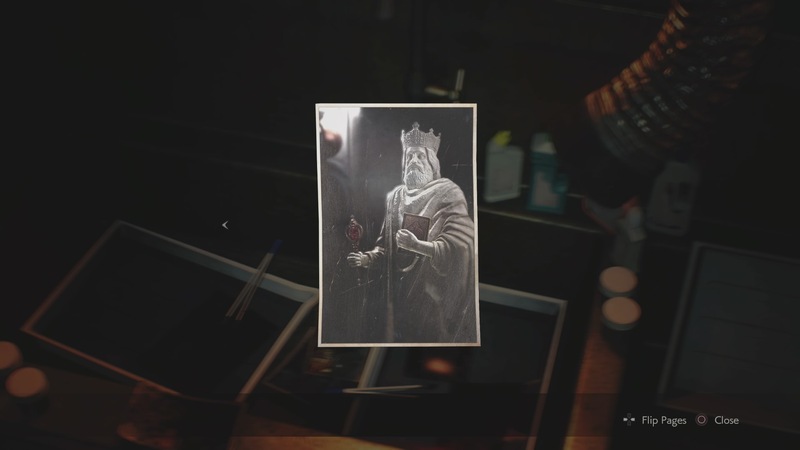 the cutscene with Marvin, he'll tell you to go up to the second floor, east side – through the waiting room via another spade by. To solve the puzzle, take the statue hand off the table to the right of the room and combine it with the red book. Now use the "Left Arm with Book" on the statue. 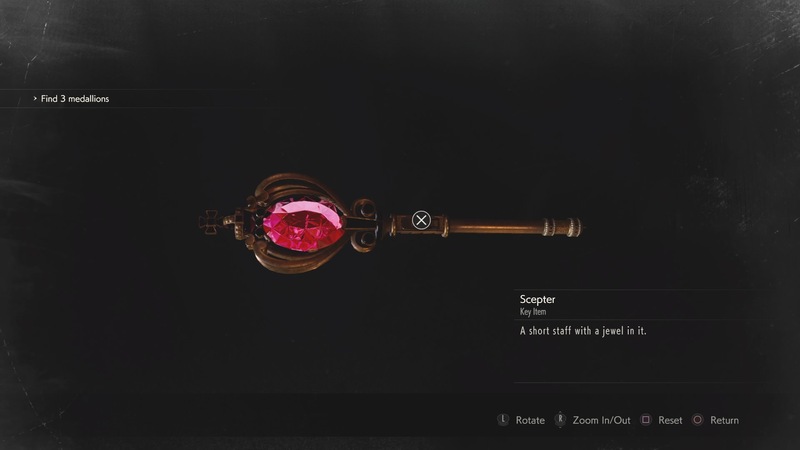 You can now put this Red Jewel in your item box for safe keeping for a while – it'll come in handy later. the Goddess Statue and the Secret Room underneath. You will eventually reach the Chief's Office area. Once you have made it here and have access to the area with the "Interrogation Room" and "Observation Room" head down there. This path diverges slightly for Leon and Claire. With Leon, you need to use the Crank to get through to the Chief's Office, go up the Stairs to the Balcony, and then climb down the ladder to the Roof. From the Roof, go down the stairs to the north and get to the Boiler Room. From there, go to the page Typewriter room and get the Club Key from the whiteboard. This gets Leon into the "Observation Room" straight away. 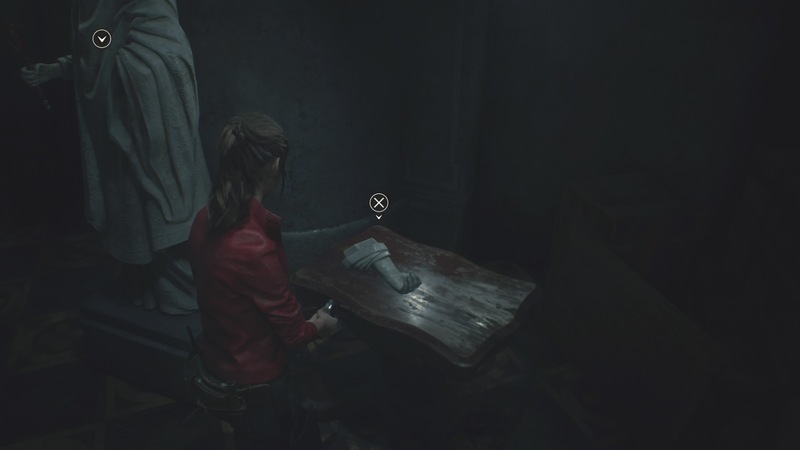 Claire on the other hand has the Heart Key for the "Interrogation Room", which she gets from the Special Collections Room. With Claire, go into the interrogation Room and search everything until something happens. Either way, you 're in the collections' Bejeweled Box ”from the back as Claire or on the Desk as Leon . 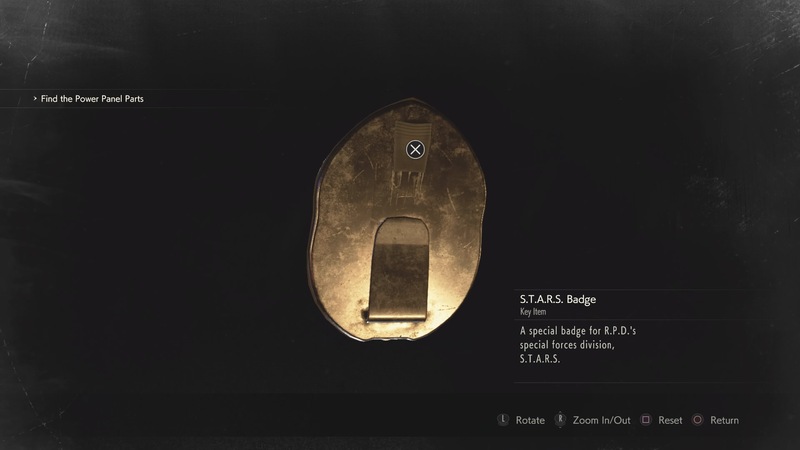 Now you have the STARS Badge, examine it in your inventory, turn it over and press to change it into a USB dongle key. Next, you can access the rest of the police station, head over to the STARS office through the 2F of the Main Hall and the Library. In the Office, use the USB Key on the PC Tower and then interact with the PC Screen. You get a brand-new weapon for your trouble, including a full clip of bullets; a Magnum for Leon, and an SMG for Claire. 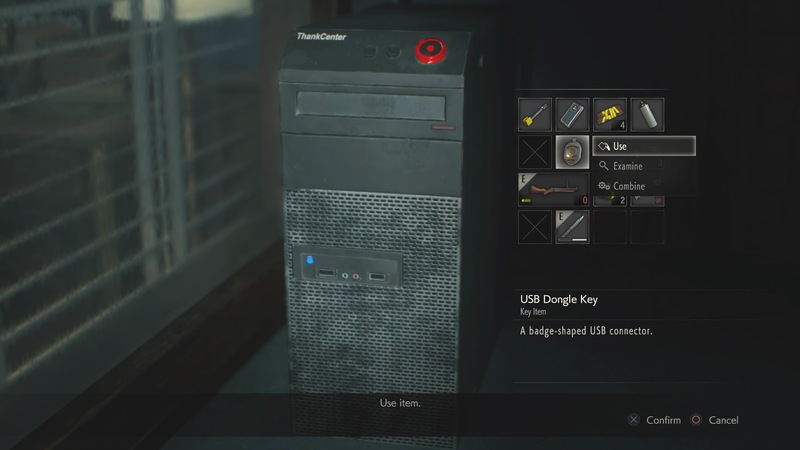 Remember to interact with the PC Tower again to get the USB Dongle back . You can use it in the Underground Staircase via the shortcut back to the Police Station in the Worker’s Breakroom in the Sewers.